How AWS' Lambda@Edge Service Could Ease Web Content Personalization — Lambda@Edge aims to integrate serverless edge processing with its CDN nodes so that apps can customize content for each user who visits. 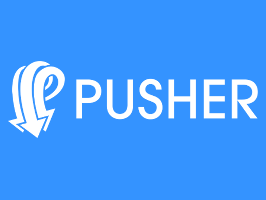 Creating a ride-booking app with React Native and Pusher — Learn how you can create a ride-booking app similar to Uber, Lyft or Grab with React Native and Pusher. Five Emerging Use Cases of the IBM OpenWhisk Serverless Platform — A look at how Serverless is being used in data processing, mobile development, streaming analytics, IoT and more. Serverless Bugs Can Create Big Costs — A lesson learnt the hard way when a Lambda function was getting triggered over and over by its own activity. Six Things to Know Before Migrating An Existing Service to Serverless — A guide focused on moving an existing architecture over to serverless. Should You Use Serverless Architecture for Your IoT Solution? — A fascinating look at the cost analysis of an IoT system and serverless. Large Applications on OpenWhisk — A good look at how to work with larger projects in Apache OpenWhisk. Serverless Design Patterns with AWS Lambda: Big Data with Little Effort — Tim Wagner discusses Big Data on serverless, showing working examples and how to set up a CI/CD pipeline, demonstrating AWS Lambda with the Serverless Application Model (SAM). SoX for AWS Lambda: Serverless Sound Editing — Run Sound eXchange (SoX), the Swiss Army knife of audio manipulation, with Lame on AWS Lambda.